main objectives of the camp: have fun, discover oneself, build friendship and learn. It served as an opportunity for the siblings to shine by discovering the inner talents, to develop camaraderie, and most especially share learning experiences with others. This year’s camp was held on April 25-27, 2015 in Word of Life Inc., a Christian campus located in Brgy. Perez, Calauan, Laguna. The SCSC team is composed of the following: Marivic Ramos as Camp Director; My Sorongon and Deborah Sanchez as Lead Facilitators; Inah Cathes Lopez and Reymart Encarnacion as Assistant Facilitators/Documenters. 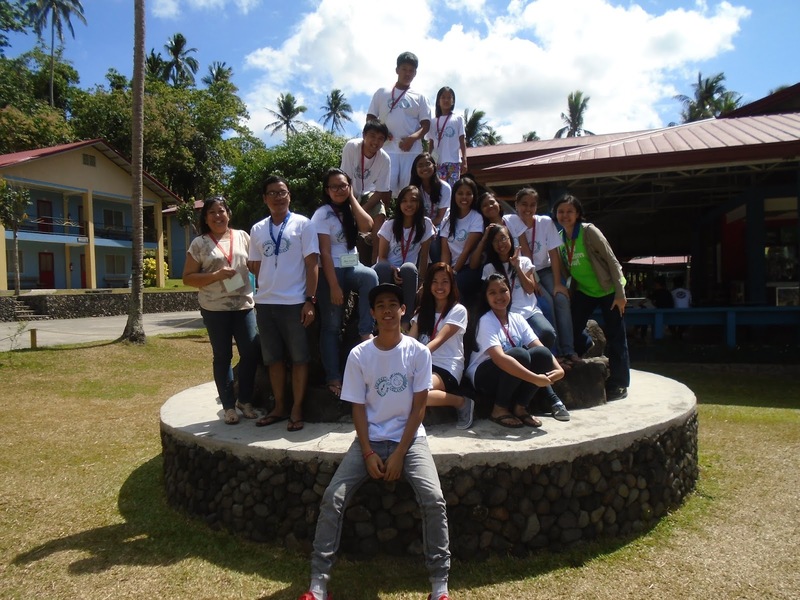 ASP Laguna Team welcomed the eleven participants from Los Baños and Sta. Rosa Laguna, San Fernando Pampanga, and Lucena, Quezon. The SCSC program started at 10’o clock am. It began with a prayer lead by Inah Lopez followed by a welcome message,an introduction of the Camp team and presentation of the camp rules by Marivic Ramos joined by Ms. Jessica, a staff from Word of Life. The campers were given ample time to have their informal bonding. The SCSC team observed that most of the campers easily got comfortable with each other. The SCSC team has encouraged the participants to have a Buddy-System. During their bonding moments, some of the participants initiated to play ball games. It was successful because everybody enjoyed the games as well as the swimming activities. After dinner T-shirt printing was done followed by the group games wherein the campers were divided into 2 groups to play the Filipino games such as “luksong baka, patintero, hagaran,”, “human spring and caterpillar race”. The second day, started with an early morning exercise and jogging, and another round of Filipino game the “Sikyo or Moro-moro”. At 9:00 a.m., the group attended the Sunday Worship service lead by the Word of Life student pastors. Zip line activity followed which thrilled the campers and camp facilitators. In the afternoon, two (2) age groups were formed to easily facilitate an activity that will precede the group sharing activity. After the group sharing, they were again tasked to prepare for a performance to be done during the camp fire that evening. The creation of ASP Laguna Siblings Circle was realized on the third day. The campers have elected leaders to represent and take a lead in future activities in coordination with ASP Laguna Chapter. The elected officers are the following: Patricia Calderon as President, Aldrin Lambon as Vice President, Catherine Dellosa as Secretary and Patricia Ofrecia as Treasurer. The group was then briefed regarding the new group in Facebook that will be created by ASP Laguna wherein the campers could join and invite other siblings or cousins of persons with special needs. Members were encouraged to post in the FB group. Simultaneously, the parents were given feedbacks and evaluation of the summer camp activities in general terms by Ms. Marivic Ramos and My Sorongon.. The chapter president, Ms. Cathy Lopez acknowledged the hard work of the SCSC Team and expressed gratitude to all parents for the support by allowing encouraging their children to join which contributed much to the success of ASP Laguna Siblings Circle Summer Camp 2015. The camp ended as parents witnessed the giving of recognition awards to their children as they shine and excel in varied activities. About the contributor: Inah Cathes Lopez is a sibling of a PWA named Ian Lopez. She was once a participant of a Sibling Camp wayback year 2001. She is a graduate of B.S. Biology in Laguna State Polytechnic University, San Pablo City Campus. She is now working as a Quality Assurance Analyst in a food manufacturing establishment located in San Pablo City, Laguna. Like any typical sibling of a PWA, she had also experienced certain challenges and hardships while growing up. She had her fair share of moments wherein she could not find comfort in her parents since her parents had to focus on the other sibling, but with the help and guidance of Sibling Camps, she found strength and dedication in supporting and guiding fellow siblings.